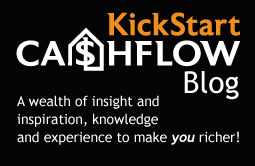 To KickStart YOUR Passive Cashflow! We specialize in finding and creating positive cashflow investments that yield up to 25% Net ROI Cashflow after all anticipated expenses of ownership. If you don't see something you like for sale now, sign up to our mailing list and we'll notify you as soon as new deals are launched. You can also contact us and we'll try to find exactly what you are looking for. 16 New Properties Coming ASAP! Write to us here to let us know you want to be sent a copy of the deal sheets as soon as they are released. - A great duplex delivering incredible cashflow! - $69,900 sale price to tenant-buyer! - Positive cash flow + capital profit too! - Comparables: $58,500 - $19,500 equity gain! - 50% instant equity gain vs. $58.5k comps! - Comparables: $52,000 - $10,500 equity gain! - 26.92% instant equity gain vs. $52k comps! - Comparables: $61,000 = $22,000 est. equity!!! - 56% Instant Equity Gain vs. $61,000 comparables! - Great equity buy if you have finance! - Positive cash flow with future profit! 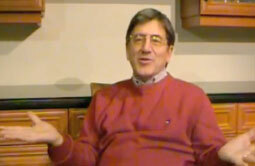 - Incredible cashflow & the liquidity of a single family home! - Room to increase rent over time to get a 26.68% NET ROI! - $72,900 sale price to tenant-buyer! - approx 25% NET ROI after rent increase!!! - A massive cashflow machine, ready-to-go! - With finance, ROI can be up to 55% Net! - Strong cash flow with the liquidity of a single! - $49,900 sale price to tenant-buyer! - Turnkey = Buy it and GET PAID! - Currently under-rented; room to improve! - Rare wheelchair accessible property! - Fully Turnkey so you get paid from Day 1! - very affordable cash flow investment! - Great "cashflow anchor" for your portfolio! - Fully renovated nothing to do! - Fantastic cash flow today, plus room to increase! - Incredible cash flow machine! - 100% turn key - nothing to do but get paid! - Renovated, tenanted, and producing MASSIVE ROI! - This deal is going to move fast! 5 separate income streams under one roof! Purchase For: $59,900 with vendor finance! Only $17,970 needed to buy this deal! - Fully Turn Key - nothing to do! - Seller Finance: 10% interest for 5 years! - Great Cashflow and Equity buy! - Extensively renovated, nothing to do! - Buy it and GET PAID! 1 Year target profit to Investor: $28,590!! !